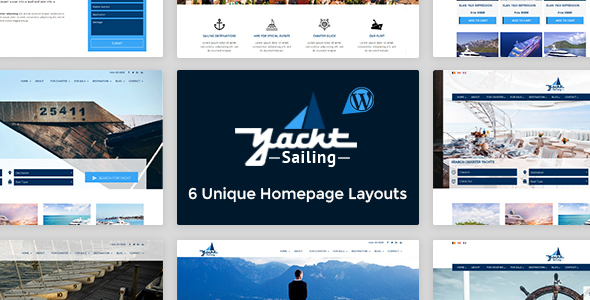 Yacht Sailing WordPress theme is specially crafted for Yacht, Sailing, Marine business, charter booking, charter selling companies. we spent good time to understand the industry and in result we designed the elements to give you perfect theme to build your awesome website with ease. Yacht Sailing has impressive, modern and sleek full-screen layout, using 1170px Bootstrap grid system with latest trends, such as parallax effects and scrolling, but still allows users to jump between pages in order to provide the best user experience possible.